Learn why we have become the go-to source for the world's major manufacturers when quick, quality solutions are needed on high-profile programs in the automotive, aviation, and other mobility industries. From advanced prototype to production to last-minute factory assembly support, we are committed to providing high quality, innovative solutions to help our customers get products to market faster. Continuing our strong commitment to our customers, we combined two great companies to be the industry leader in structural solutions for the mobility industry. Quality Metalcraft and Experi-Metal, Inc., both Detroit-based companies with more than 50 years of experience, are known for engineering excellence and delivering high quality solutions. A program’s product and volume determines the production process. 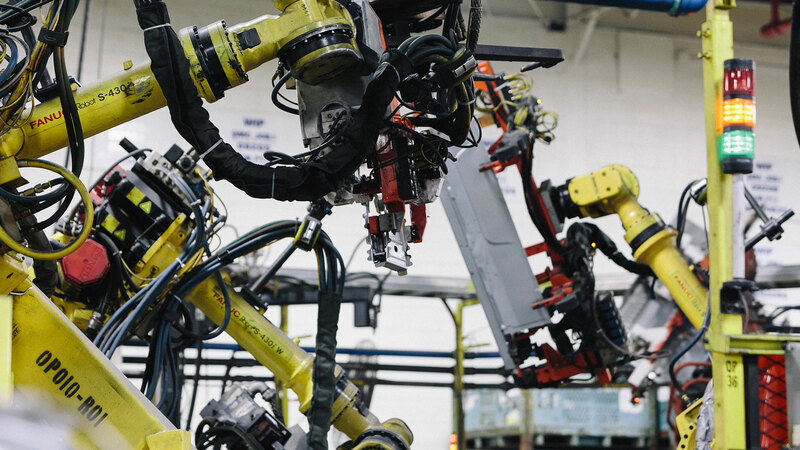 Our production assembly utilizes a full complement of robotic flexible manufacturing lines and robotic hemming cells that make the production process more efficient. Depending upon the vastness of the program, we have a variety of machines that can meet your specific needs. The production process can range from flat laser cutting or 6-axis laser cutting to a progressive die, automated transfer press, or hand press. We are a master at Body in White prototype assemblies, producing more than 70 prototype vehicles in our facilities. Our software capabilities (CATIA V4/V5, Tebis CAD/CAM, and Unigraphics, to name a few), secure facilities, and robotic manufacturing gives us the ability to make prototypes with accuracy and precision. We recently added 12 DC spot-weld guns and 7-axis robots to meet the prototype demand and we have the capacity to produce floors, bodies, and sides for all Body in White prototypes. When last-minute factory assembly support is required, we can provide the assistance you need. We can quickly and efficiently attend to the final manufacturing needs when services are required to stay on schedule or when you have a production piece that needs last minute detail assistance. 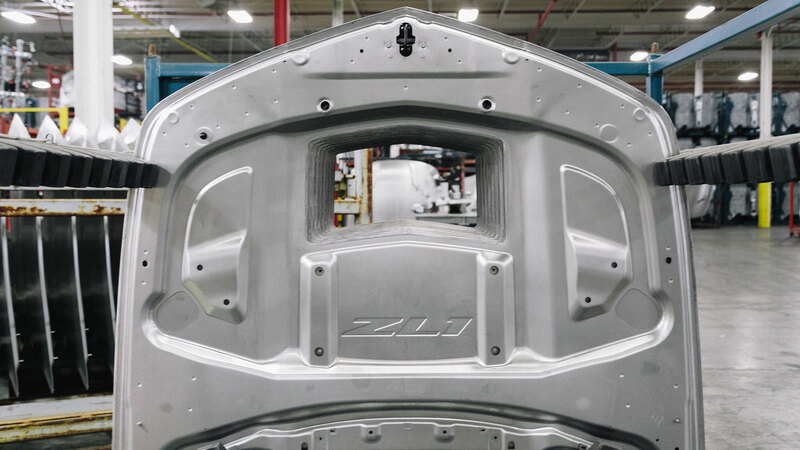 If a hood or side panel needs attention before it’s added to a vehicle, we have class A metal finishing capabilities to take the program to completion. 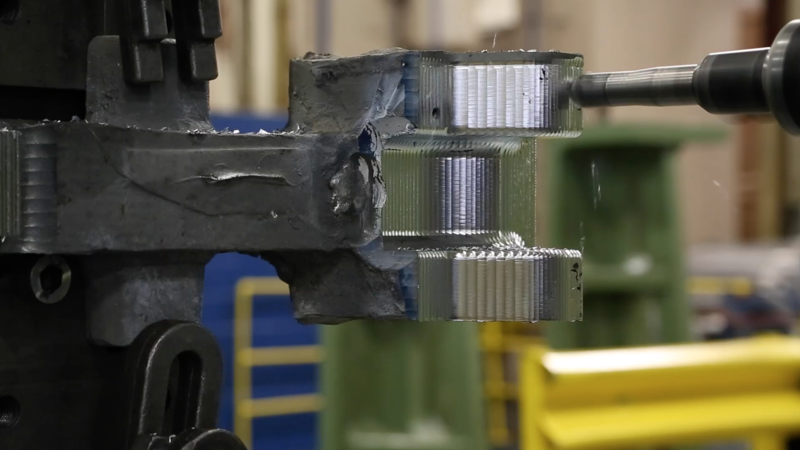 In fact, we were able to weld 1,000 bumpers per day for a recent factory assist program. With our advanced tooling and state-of-the-art processes, we have manufactured products for many segments of the mobility industry, including automotive, aviation, aerospace, and defense. 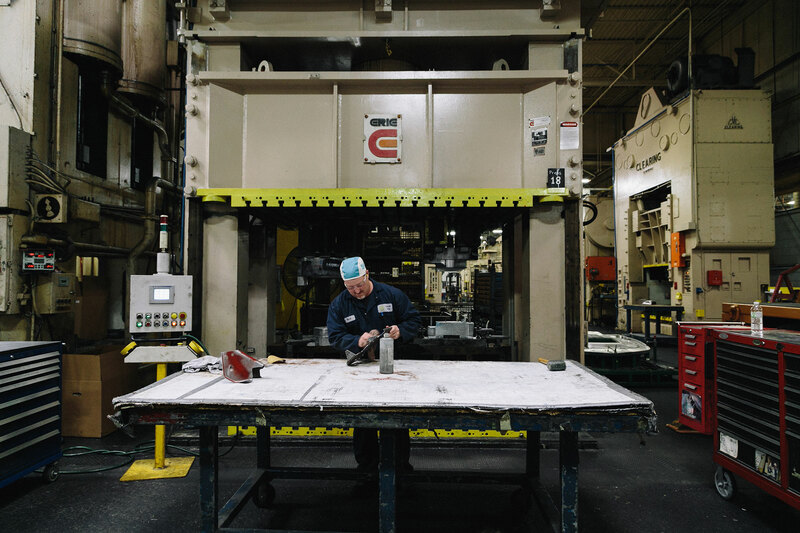 Our cross-trained manufacturing teams work together and can quickly switch gears in order to meet your specific needs. © 2019 Quality Metalcraft. All rights reserved.